Rookie Rider, Shawn Stratman, talks about how different it can be when someone else rides your horse to show. 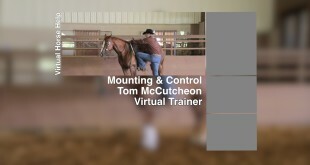 Owner of Electric Jac, Sarah Willerman, talks about Tom riding him in the Ardmore Futurity Finals. 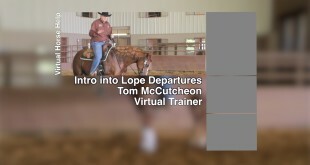 Tom explains how to safely saddle a horse and how to make sure the saddle is comfortable for the horse. 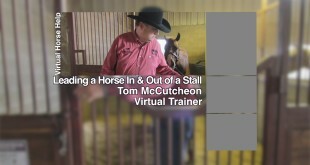 Tom demonstrates how to properly lead a horse in and out of a stall. 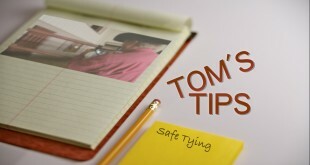 Tom’s quick tips on tying your horse to a post or fence.